GREEN-WIN can provide practical answers to these challenging questions by drawing insights from key projects that have implemented integrated "win-win" solutions for clean energy, smart agriculture, and waste and greywater management in rural communities in India and Indonesia, and informal peri-urban settlements in South Africa. 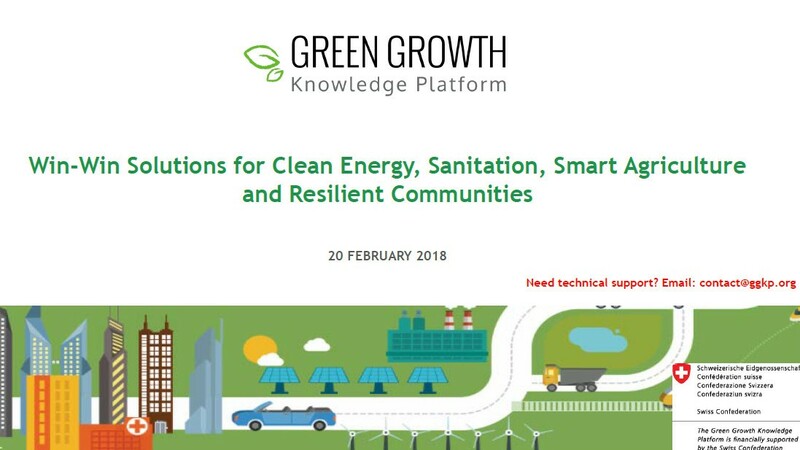 On 20 February (10:00 AM CET), the GGKP held a webinar exploring lessons from the Genius of SPACE, Zonke Energy, su-re.co (sustainability & resilience) and Development Alternatives projects. Issues that were discussed included enabling policy conditions, community education and engagement, investment opportunities and green business models, and the design and implementation of transformative win-win solutions. Speakers shown from left to right.